Part 2: Criminal or Saint? (Confronting Child Molesters) – A Splash of Love…. What about Reporting to the Law? As a believer I am asked how I can endorse going to the law with a fellow believer. Doesn’t 1 Corinthians 6 make it clear that ‘brother is not to go to the law against brother’? To this I ask, Does 1 Timothy 1:9 not make it clear that the law is in place for the lawbreaker/lawless? Also, is child molestation not one of the most lawless acts a human can commit? And for good measure let’s jump to a well-worn passage, in Romans 13 (KJV…just because), and read it in the context of obeying the law, including when the law requires us to report crimes. While this if often used to draw compliance from church members, it refers specifically to ‘sword bearers’, therefore hopefully isn’t talking about pastors and church leadership. I mostly avoid attending churches where the pastor carries a weapon. It seems to me that we’ve gone cherry picking if we blithely toss 1 Corinthians 6 out there to guilt fellow Christians in reporting to the law. It is an agenda-driven-doctrine/belief to make such a thing a sin. Especially when some of the very people who fight against such a thing turn around and use it for financial gain and sue a fellow brother in a business deal gone awry. In essence that sends the message that we are willing to sacrifice our daughters and sons, but not our money. But that’s another topic for another day. All that said, I can count on one hand–without using my fingers twice–the number of times I’ve gone to the law with cases in our ministry, and of two of those times it has been to support someone reporting, not to file an actual report. (Sorry to blow holes in the theory that I have only one goal: to put Mennonites in prison.) The reporting numbers are not low because I am against going to the law, but rather that clients are most often no longer minors, and it is out of my court. When victims are over 16 in Ontario it is utterly useless to file a report to F&CS (Family & Children Services) or the police. If I call F&CS, I am told it needs to be reported to police, and whenever I have called the policed, they have asked if the victim is filing a report. When I’ve answer that they are not, then they’ve told me there is nothing that can be done. And they are right. Internationally I have made one report, and that was not about molestation but a homicide/suicide threat. While it was investigated, the officer pretty much snarked me off for bothering to call from Canada about it. (Okay then! Just trying to save a life in my spare time.) In several other cases I have made myself available to answer questions for police or social workers, and in two cases I shared details of crimes with a US citizen local to the crimes, and left it to them whether it was ‘reportable’ or not. Sometimes I receive updates and hear the outcomes, other times I hear nothing. When I have done my duty to the best of my ability, before God and man, I leave it in the hands of those responsible, and spend little time worrying about it or checking up. Child Molesters in Church: Are they Criminals or Saints? I’m not God, so I shall refrain from passing judgment. Whether a person is ‘right with God’ or not, or ‘saved and born again’ or not is none of my business, in the context of judging. But I know with certainty that God doesn’t look lightly on the violation of children. Consistently through scripture it is clear that sexual sin has consequences unlike other sins. From Old Testament consequences–take the group of men who were slaughtered after Dinah was violated–to Paul’s words in the New Testament (ironically also in 1 Corinthians 6) about it being the one sin against the body, and a sin that ‘joins Christ with a prostitute’ (v.15) when those who profess Christ engage in prostitution. And Matthew 18 offers harsh judgment for those who ‘offend’ children. The grace of Jesus is big enough for every sin. There isn’t a doubt in my mind about that. But the grace of Jesus doesn’t wipe away all consequences. It never has. It never will. I’ve volunteered at our local Federal women’s prison (Grand Valley Institute) long enough to hear some amazing stories of grace, but the women remained behind bars. A woman who murdered her husband never saw another day of freedom outside those prison walls from the time of her arrest, until the day of her death, but she was free on the inside. (She died during my time volunteering). She is one of countless stories behind those walls, of people for whom Jesus died, and for whom God’s grace was enough, but for whom the consequences remained. Does Prison Change the Offender? In December I was invited to our local police station to meet with an officer and discuss the problem of crime in the Mennonite and Amish communities. At one point he leaned back in his chair and commented that he pictures taking them and booking them, “20 at a time” and then going back for the next 20. “What do you think?” he asked. We spent over an hour talking, brainstorming and exploring thoughts and ideas. We agreed to meet again after Christmas, and explore further possibilities. That meeting took place January 11, 2016. Several Staff Sergeants were present–including from the Major Case Unit–as well as the director of an assault treatment centre. In the end we all concluded, without exception, that there must be a way to help without pushing the crimes further underground in the church, thus creating an environment that will breed the problems, and create more victims in the next generation. At the same time they confirmed what we all know, that any cases that come forward must be dealt with according to the law. What is the Solution to the Problem of Molestation in Closed Communities? In the meeting on January 11, I presented some thoughts and ideas I’ve been brainstorming about for about 2 years, of ways that could help deal with past and present crimes, while focusing on protecting the next generation. These were the ideas I had run by the other officer in December, and in our brainstorming together, the ideas had morphed into an outline of a plan that would potentially make a dramatic impact for future generations. It is unclear if such a plan is possible–now or in the future–but at least we’ve started the conversation. In the near future I plan to meet with several other senior team members from the assault treatment centre, to see how we can collaborate in the ‘here and now’. The prospect of pursuing options that could potentially impact the generations to come is far more important to me than any longing for personal justice, for which I have no desire any more. I support the law, and work with the law, and believe firmly that there ought to be consequences for these crimes. But the hard reality is that seeking justice for past and present crimes is a reactive approach–which is currently necessary–when we so desperately need a proactive approach. And, in particular, we need a new approach in closed communities that have their own ‘internal laws’ and ‘justice systems’, so that the use of ‘the law’ doesn’t inadvertently push the crimes further underground. This is true of Amish and Mennonites, and it is also true of Muslims and other ‘closed communities’. No, they should not get to make up their laws and have a double standard. What is offered to them should be offered across the board, but whatever the ‘justice system’ of the land is, it needs to become a partnership between the law and closed communities to work against crime, while not allowing closed communities to circumvent the law, or define it. Such a thing would create chaos. One extreme would let them all off the hook with a quick ‘I’m sorry’, and victims would be entirely overlooked and neglected, while the other extreme would stone them to death…. possibly both victim and perpetrator. There is a better way. There has to be. And I am out to find it, and then do whatever it takes to fight for it. I will fight for the freedom of the children of tomorrow, and for ‘my people’… whether they like it or not. On that note and to that end, God willing and if University of Waterloo accepts me–which I am fully counting on, I will start the Master Peace & Conflict Studies at Conrad Grebel University College this fall. If I’m super lucky, I will be accepted without a qualifying term. We will wait and see. Either way, I press forward and if I trip and fall a few times, I do. I will get right back up and press on. This issue needs a few warriors, and I am committed, by the grace of God, to be one who blazes trails. God bless you for your efforts. 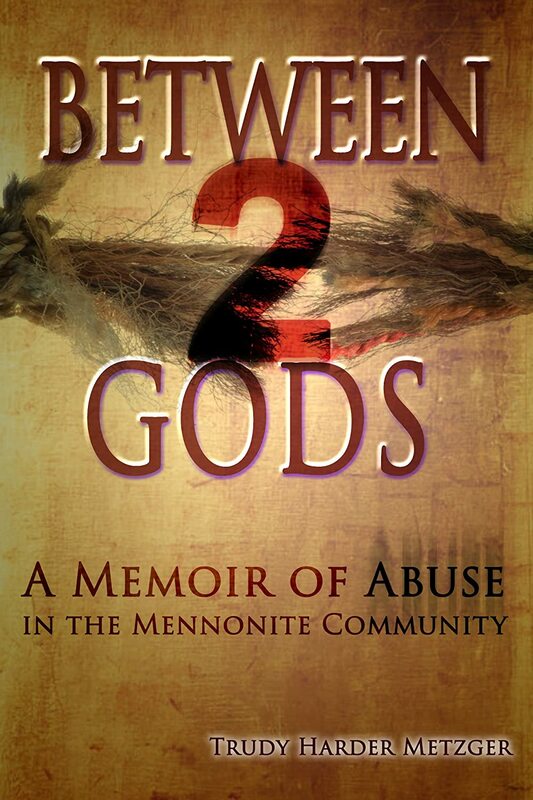 I am a Mennonite, thankfully I have been spared the horrors of abuse but I have heard others stories and it hurts my heart. I am also an adoptive mom and have seen first hand how abuse and trauma affects my children’s lives.